Born in Johannesburg in 1948, Greg Lourens went to the Johannesburg School of Art, where his main interests were illustration, sculpture and photography. He then moved to London, where he worked in a design studio for almost two years. 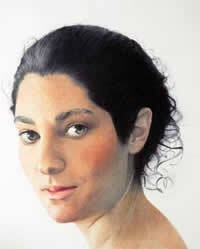 It was here that Greg Lourens was introduced to the art of Realism and the love of detail. Greg Lourens then worked in Boston, Massachusetts as a member of a team developing multimedia as an integrated medium. Whilst in the States, Greg began his training in psychotherapy and he has been practising in this field for the past 30 years. This interest in people has spilled over into his art, and has led him to delve deeper and deeper into himself and his subjects to touch into their unique mystery - to capture a glimpse of their spirit - an indefinable quality which most viewers can identify with. This quality resonates throughout his work. Greg Lourens predominantly draws women because he recognizes that they are the custodians of all that makes us most human. In 2001, Greg spent a year drawing in rural Ireland. This concentrated time was a wonderful opportunity to hone his passion and develop his craft. 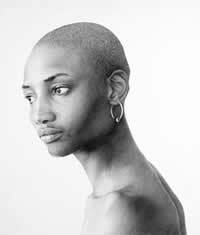 His works fall into the school of Realism and are executed in pencil, coloured pencil, and some are a mixed media.